The Mayor's comments come as the networking organisation prepares to celebrate its two-year anniversary in September. 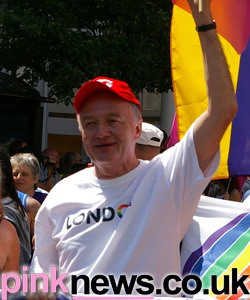 Ken Livingstone, Mayor of London, a long-time supporter of all things gay, has praised Village Drinks, the social event and online community for gay professionals. What started as a small social gathering for gay networking two years ago has grown into a important part of the London landscape for professional gay and lesbians in the capital. “I congratulate Village Drinks for establishing itself as a key social and professional network for lesbian and gay Londoners over the past two years,” the Mayor said. Earlier this year Village Drinks founder Neil Spring made it into the Independent on Sunday Pink List of the 100 most influential gay people in Britain. The Mayor’s comments come as the networking organisation prepares to celebrate its two-year anniversary in September. “Everyone on the team is delighted to receive recognition from Ken for the work we have done and look forward to continue doing. Village Drinks organisers are planning similar events in Brighton and Manchester for the autumn, a specialised media networking evening and a theatre club.